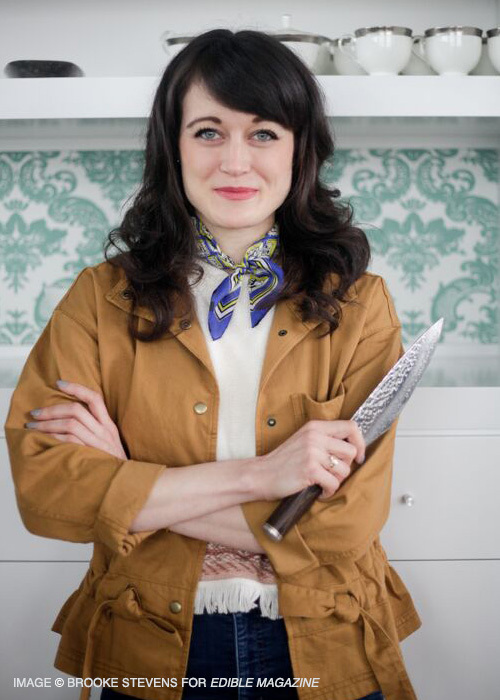 Meet Jess Rice — a plant-based private chef and former owner of award winning plant inspired restaurant AVO in Nashville. After selling AVO, Rice hit the road with legendary recording artist, Neil Young, working as his personal chef. 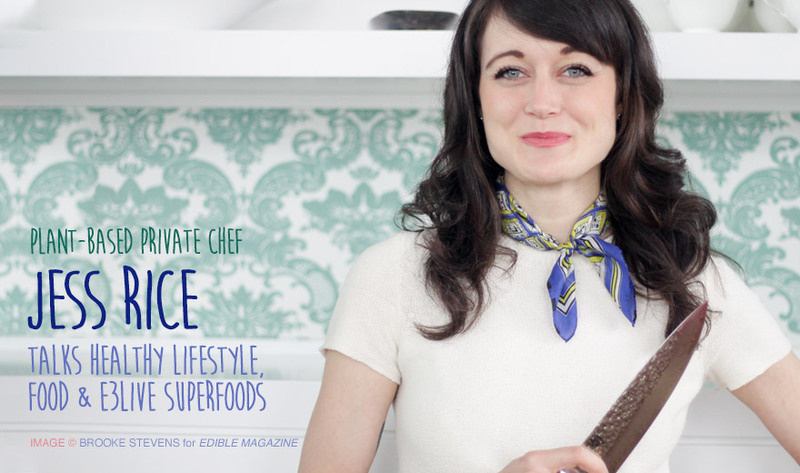 She encourages her clients to try E3Live superfoods and says “Everyone I’ve worked with is crazy for BrainON.” We check in with Jess about her life as chef to the stars, her path to health and E3Live superfoods. I’m a dedicated advocate of the plant-based lifestyle and have created gourmet, organic cuisine across the United States. 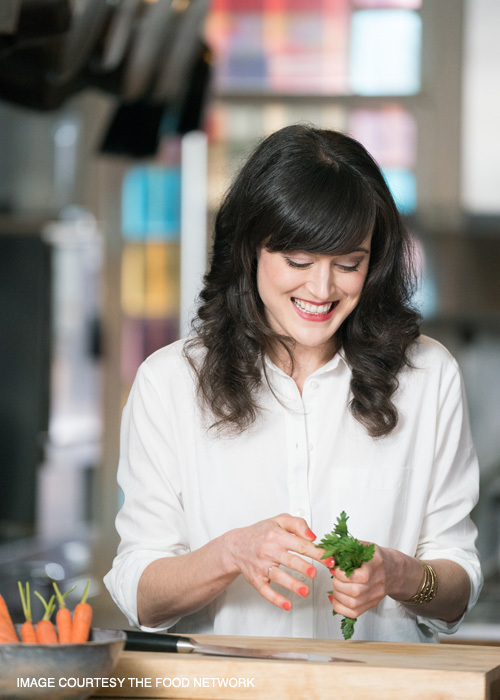 In my former career, I worked in public relations and marketing — and was drawn to experiment with plant-based foods in response to the toll late nights spent networking and long days sitting at a desk eventually took on my health. I experienced life-changing results once I eliminated animal-based foods, GMOs and gluten from my own diet. Gradually, I began helping others do the same and decided to pursue formal training as a chef and holistic health coach. I focused on my business full-time, supplying local eateries with healthy raw foods and began teaching plant-based nutrition classes. Then I took culinary training at celebrated chef Matthew Kenney’s Culinary Academy in Santa Monica, California and obtained detox coaching certifications and holistic chef certifications with Naturopath Dr. Amy Rachelle in Indonesia. In 2015, I opened AVO — the first plant-based restaurant to win “Best New Restaurant” in the Nashville Scene’s Reader’s Poll. Well, I grew up horseback riding in Massachusetts. I took my first riding lesson when I was only 6 years old. (Fun fact: as a teenager, I wanted to study agriculture!) Horseback riding requires a LOT of dedication, physical strength, early mornings, extensive studying and passion... so in order to show good horsemanship and stay competitive in the saddle, I had to take care of my body inside and out. Fitness and healthy eating was a no-brainer for me; I wanted to be the best at what I already loved doing and I was happy to put in the work. I think it’s safe to say young, eager athletes from all walks of life can relate to this. I have always been interested in growing my own food and foraging, thanks to my family. My mom’s father always had a huge garden and taught my parents, my sister and I how to care for it. We all lived in the same house together growing up, so having my mom’s parents right there to teach me how to garden, preserve food, and cook family recipes was pretty amazing. We have been planting my Grandpa’s heirloom tomato seeds as long as I’ve been alive; the seeds are from tomatoes my Grandpa’s family brought with them when they immigrated to the United States from Italy. My Grandpa was also quite the forager. My sister ended up studying herbalism after college, too. I think the way I grew up has a lot to do with the path I ended up choosing, working as a chef. I was turned onto E3Live + BrainON on the last tour I was on. We all took BrainON every single day, without fail. When you’re riding on a tour bus for +/- 500 miles a day and working tirelessly around the clock, keeping up with your self care is an absolute must. E3Live made it easier for my clients and crew! 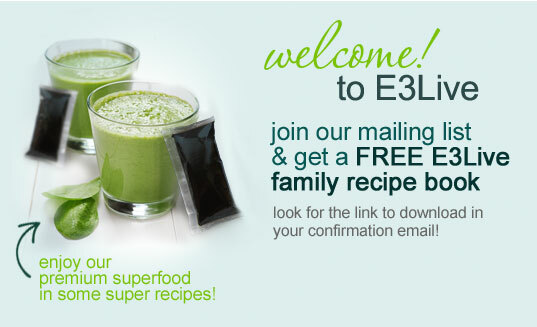 Do your clients take E3Live superfoods? Which ones? What do they think? Everyone I’ve worked with is crazy for BrainON. I can’t wait to introduce Blue Majik and E3AFA to everyone and continue to work all of E3Live’s products into new recipes. When I was coming up with the breakfast, lunch, dinner and dessert recipes I did for E3Live, I thought about the natural pigments of the other ingredients involved first. I love that E3Live products don’t have a robust taste, so you can add them to just about anything. While the flavor is mild, the color is INTENSE (and gorgeous!) 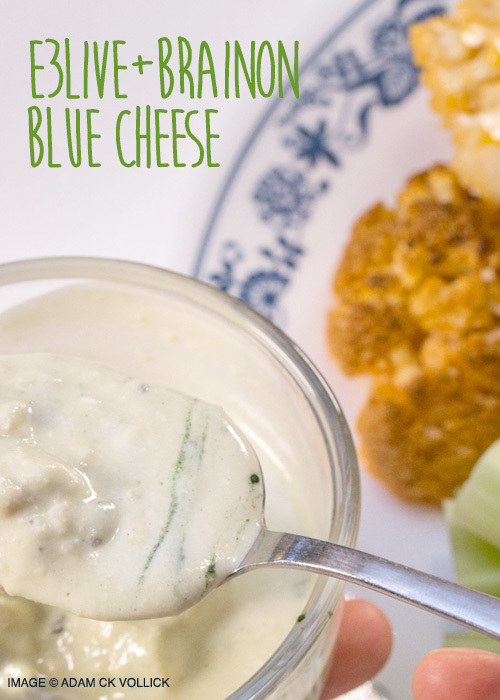 so I wanted to choose other ingredients that would showcase the vibrant blues and greens instead of turning them muddy-looking. But for home cooking, you can add these products to just about anything without the flavor changing. Just remember, people eat with their eyes, so if you’re trying to get your loved ones to enjoy healthier meals in 2019, wow them with your presentation! 1. Give yourself time to meditate every day and/or consider starting a handwritten journal. Writing down my thoughts, dreams, ideas and anxieties is one of my favorite self care practices. I have worked through so many personal issues (and created so many killer menus!) by putting pen to paper at the end of the day. 3. Budget so you *can* eat healthier and buy quality ingredients to keep your home kitchen stocked. Buying organic food, driving to the local farmers markets, getting the supplements you know will help you... it all can add up. By skipping a few fancy dinners out or forgoing another pair of shoes you don’t REALLY need, you can eat healthier and take better care of yourself without putting a big dent in your bank account. I’m currently hard at work on my first cookbook! I’ll be hitting the road again on tour very soon as well. To keep up with me, everyone can connect with me on Instagram (@mypoortiredliver) and Facebook (facebook.com/mypoortiredliver). 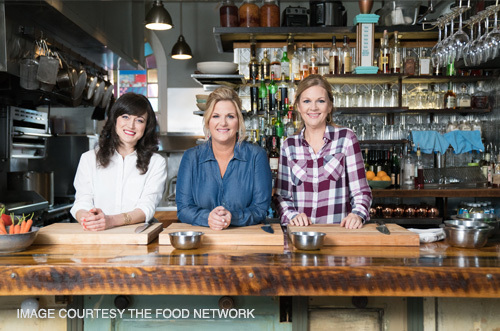 PHOTO Courtesy of The Food Network, taken during the filming of the episode Jess was featured on called “Sharpen Up!” On Trisha’s Southern Kitchen. 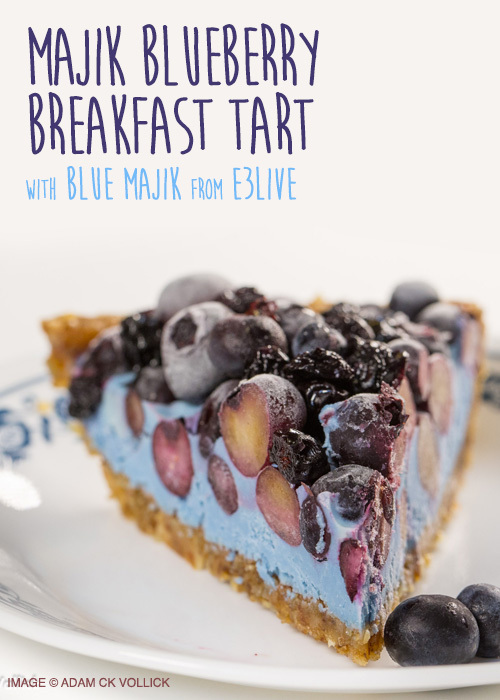 MAJIK BLUEBERRY BREAKFAST TART using E3Live's Blue Majik superfood spirulina extract. E3LIVE BRAINON BLUE CHEESE using E3Live's E3 Probiotics 50 Billion and BrainON powder dried superfood. 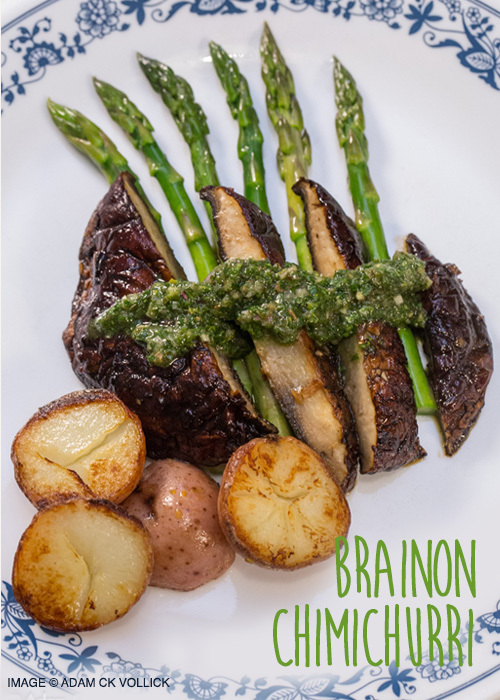 BRAINON CHIMICHURRI using E3Live's BrainON powder dried superfood. 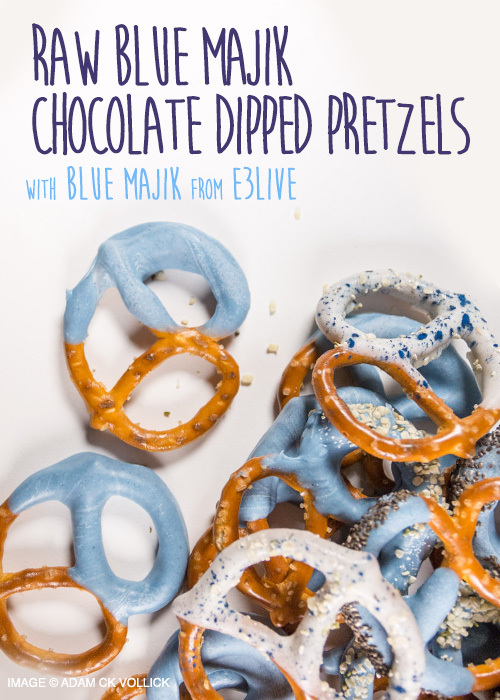 RAW BLUE MAJIK CHOCOLATE DIPPED PRETZELS using E3Live's Blue Majik superfood spirulina extract.